My most popular albums are the ‘new era’ digital books – where the images are printed onto photographic, or matte fine art paper. 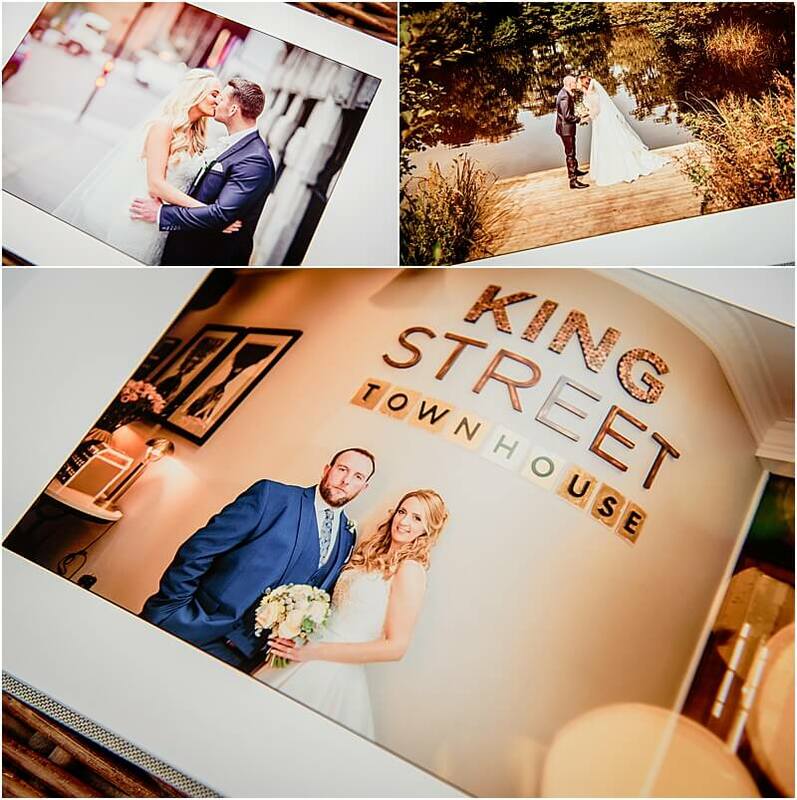 The layouts can run across the centre of the spread, giving a modern, storyboard feel to your wedding. I design each and every one meticulously, so they look their very best. No two are ever the same! 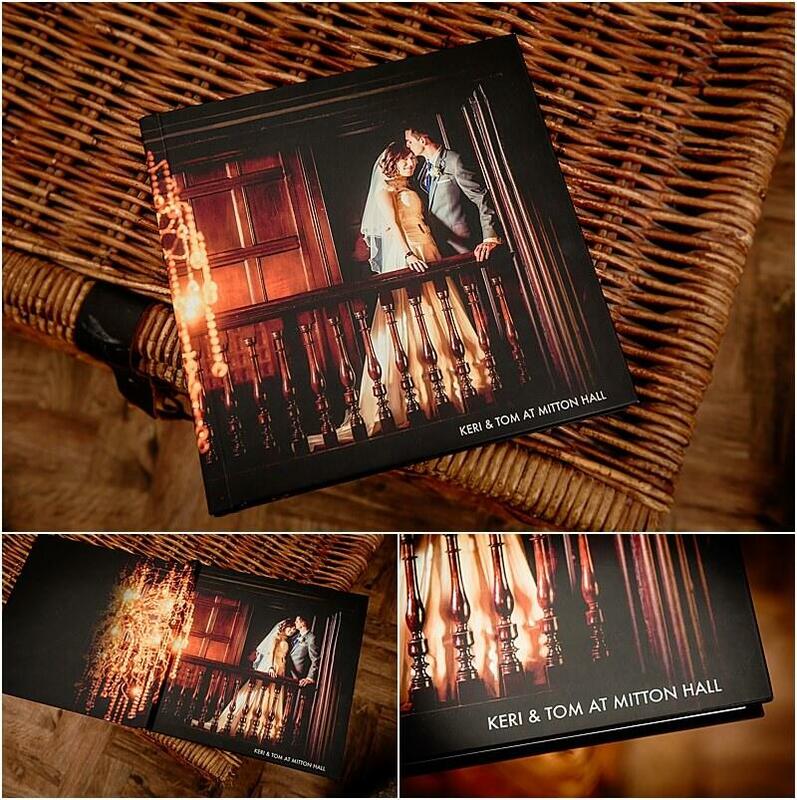 With a range of covers, sizes and layout options, your album will be truly unique to you. No stock templates here – each album is 100% hand designed by myself using my own artwork. 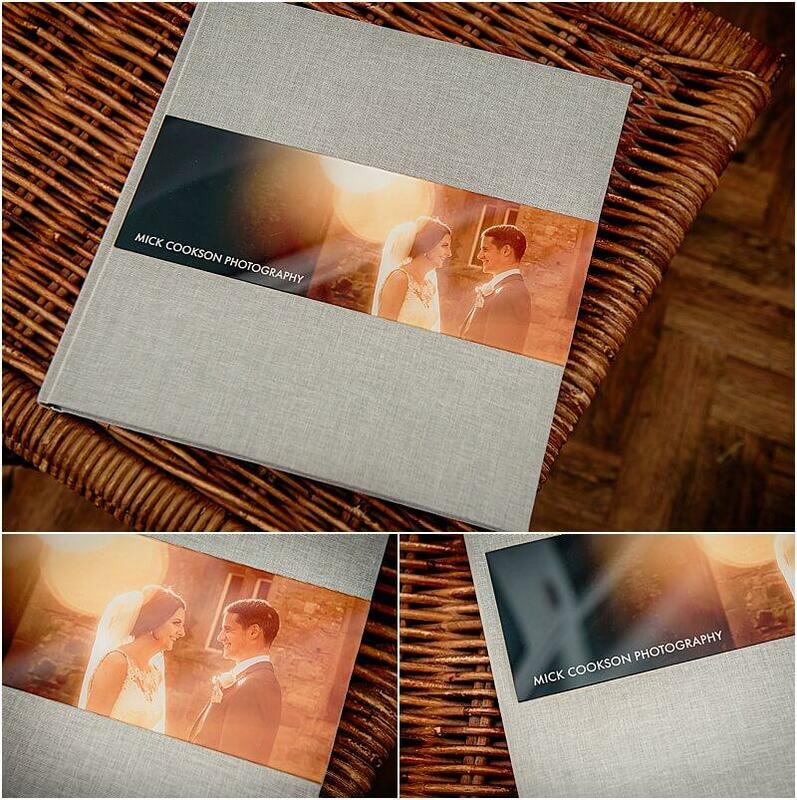 This is my ‘signature’ album, 12″ x 12″ (30cm x 30cm) showing a stunning ‘storyboard’ of your wedding day. The images flow across the spreads, and your story unfolds as you leaf through the pages. Each album is totally different, and unique. My years working in TV have given me a great grounding in design – the album layouts tell your story perfectly with images complementing each other on the double page spreads. 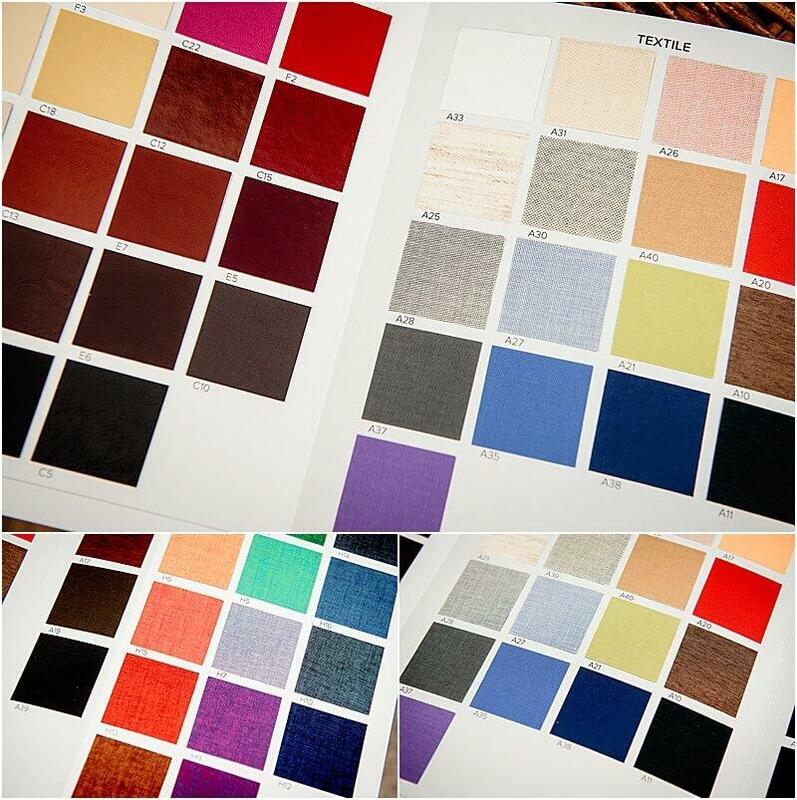 The albums come in sizes 10″ x 10″ 12″ x 8″, 12″ x 12″ and . If you’re feeling strong, we can go larger than this too! Covers can be full acrylic, acrylic window or material….up to you. For 2019 onwards I have decided to stick with the one album manufacturer for continuity of style and design. 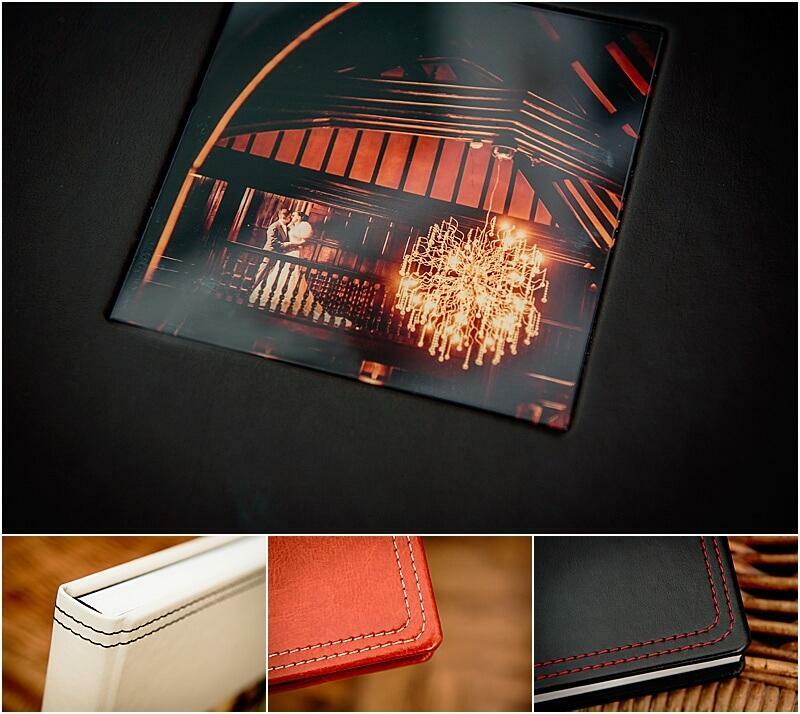 My albums come with a choice of around 60 covers – eco leather, textile and acrylic. The variations are vast! But you won’t be disappointed, the quality of my albums is stunning. Don’t fancy a textile or acrylic cover? 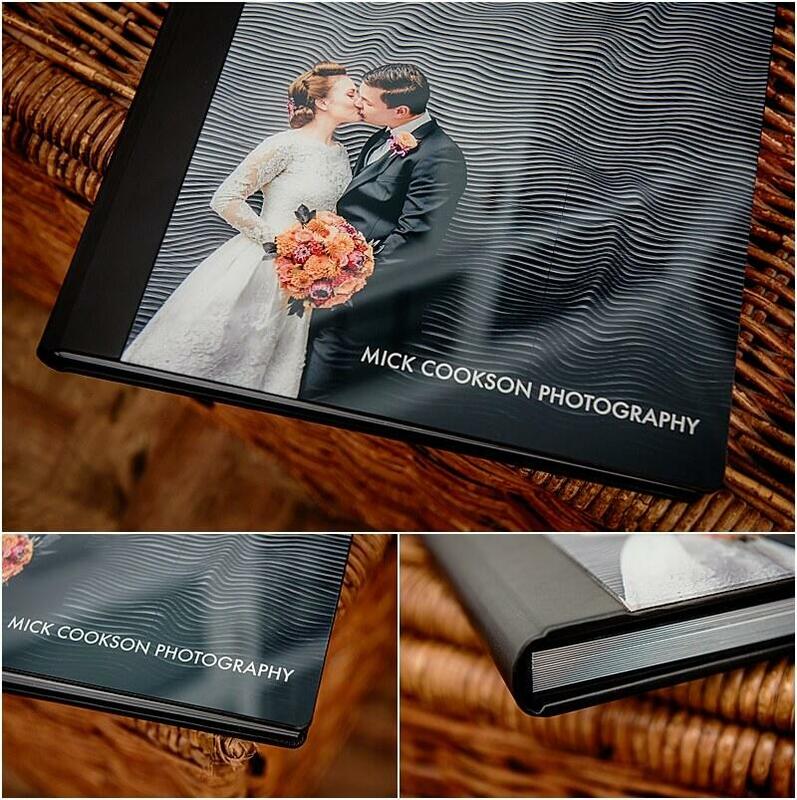 No problem, we can make your album with a stunning matte finish wrap around book cover. 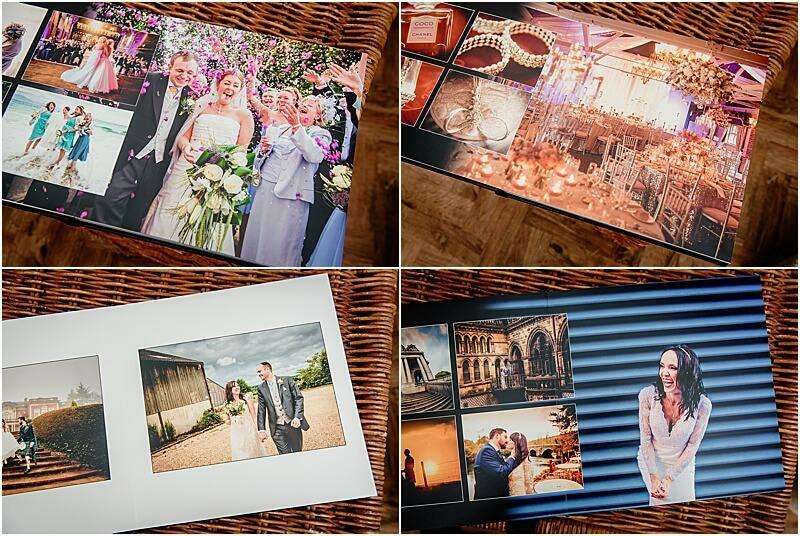 Available in 10″ x 10″, 12″ x 8″ and 12″ x 12″, these look simply stunning at home on a table top or shelf. For that extra touch, why not have the edges stitched? There’s a range of colours to complement your album cover too. Go traditional, go modern, go funky. Your call. 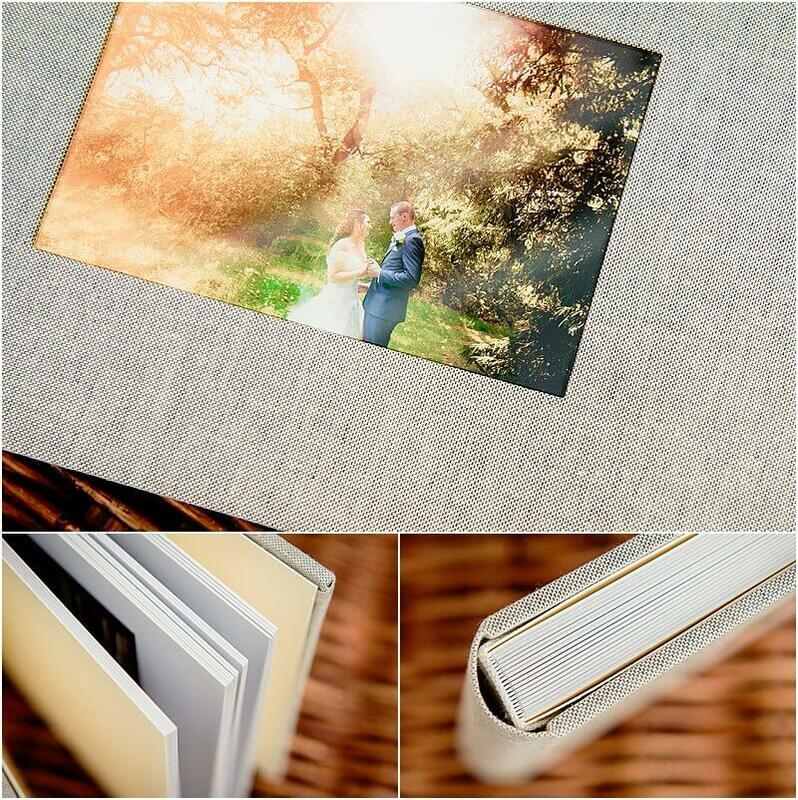 My new album samples have all been made in A28 or A30 grey linen, or C5 Eco Leather, and are beautiful to hold. Why not get in touch and have a look at them for yourself?